MICKEY AND THE ROADSTER RACERS on Disney Jr.
"Race for the Rigatoni Ribbon! "/"Roamin' Around Rome"
In "Race for the Rigatoni Ribbon!" Mickey and the gang compete against Piston Pietro throughout Rome, while a runaway giant meatball chases after Goofy. In "Roamin' Around Rome," the Happy Helpers give a tour of Rome to influential travel writer Robbie Roberts. Tim Gunn ("Project Runway") guest stars as Robbie Roberts. 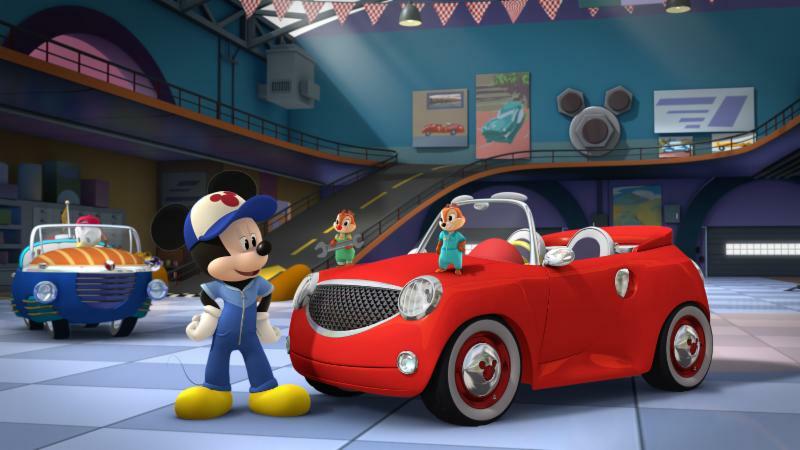 This episode of "Mickey and the Roadster Racers" airs on Jan. 16 (12:00 - 12:25 p.m. EST), on Disney Junior.